Here in sunny California, the kids are always wishing for snow. If it is still snowing where you are, my deepest apologies, but at least you can enjoy these fabulous books together about the snow. The fascinating story of a citizen scientist who was the first to successfully capture snowflakes on film. Also a wonderful story of a person following his passion (and encouraged by his parents to do so). Note that the story does have a bit of a melancholy ending as he died in his 60s from pneumonia after spending time outside in a storm. Although one could argue that he died doing what he loved best. These are the photographs taken by Snowflake Bentley! This inexpensive Dover book, which is simply a catalog of Bentley's photos (no text) is wonderful to look at after reading Bentley's biography, Snowflake Bentley . Libbrecht is a modern-day Snowflake Bentley. 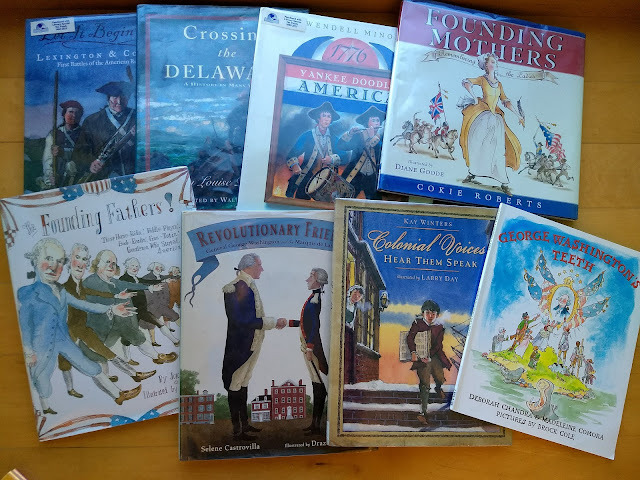 He has several books and guides to snowflakes. I checked them all out from the library and think this one is the best for a read-aloud. Not too texty but full of fascinating information about the science of snowflakes alongside large gorgeous photos. Includes instructions on how to cut realistic snowflakes. (I recommend using coffee filters! Easier to cut by little hands when folded. Fold in quarters, then in thirds and you're good to go. See below.) 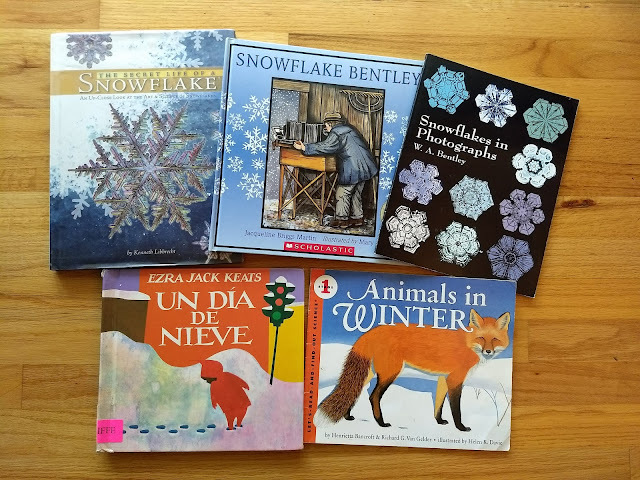 If you or your older kids are fascinated by snowflakes, definitely check out his other titles . 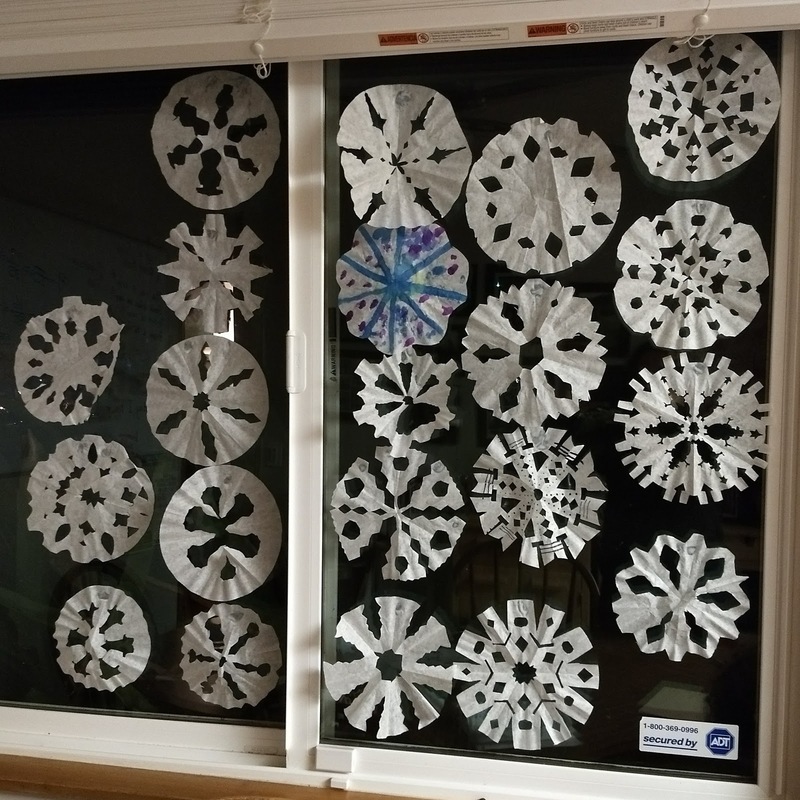 Snowflakes cut from coffee filters. Easier for little hands and little scissors to cut when folded multiple times. The classic story of snow exploration. I love that most of Keats' work has been translated into Spanish as I'm always trying to sneak in more Spanish titles during read-aloud time. 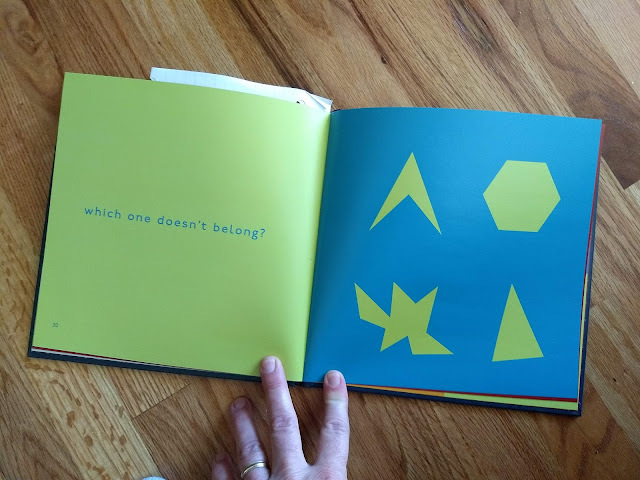 It's nice to read a title the kids are somewhat familiar with in English because my 6yo only knows Spanish at a very basic level and gets frustrated with more difficult text. If you love Keats, don't miss A Poem for Peter: The Story of Ezra Jack Keats and the Creation of The Snowy Day, written in free verse by Andrea Davis Pinkney. 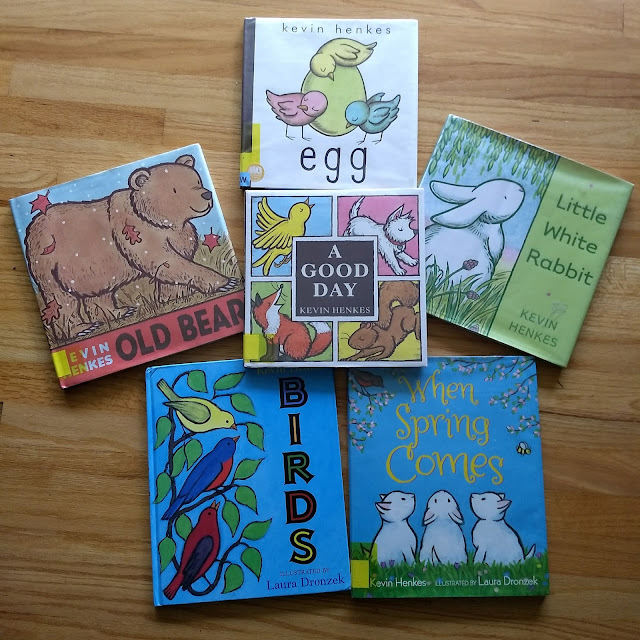 This books is a great way to connect the idea of snow to seasons, habitat, and animals. Interesting and short enough to make an engaging read-aloud.